Danny Jordaan is the president of the South African Football Association (SAFA) and Jordaan has been pressuring the head coach Ephraim Mashaba to search for South African that might be good enough to be called up and perform at the international stage and he wants to make this exploration to be a worldwide thing. In order for any national football team to get the best possible squad with the most skilled players, it’s much more beneficial for managers and scouters to take a global look around football even in nations or leagues that aren’t so well-known or highly rated and this is what Danny Jordaan wants Ephraim Mashaba to do with the South African national team as they are currently attempting to qualify for the upcoming 2018 FIFA World Cup. It’s believed that this worldwide search for South African players that can be eligible to perform for the national side. Ephraim Mashaba in the past. Kamohelo Mokojo has stated that he does not want to perform with the South African national football team if Ephraim Mashaba remains in charge. In their opening match of the BRICS U17 Football Cup, the Amajimbos of South Africa soared high to defy all odds and win their match over opponents, India. The Amajimbos arrived the night just before their match and did not have enough time to acclimatize before going into the game against India on Friday, 7 October at the Bambolin stadium in Goa, India. For India, it was their second game after having lost to Russia by a lone goal when the competition first started on Wednesday, 5th October. In order to let the South African team rest a while after arrival, the clash that had been initially scheduled to be held in the afternoon, was later moved to 17H30 SA time. The South African U17 men did not show off much fatigue despite their initial setback but held off their Indian counterpart as much as possible. The Indian team, on the other hand were desperate for a victory and pressed on further but could not find the net. In the 22nd minute into the game, Ndamulelo Radzilani made it count for South Africa when he headed in a cross sent in from the left, thus giving his team the lead. India continued to launch further attacks but the Amajimbos defense was too strong for them, thus leaving the score line at a goal for South Africa until the end of the first half. When the game restarted in the second half, the two teams pushed further, with India trying to equalize and possibly score a second, while South Africa looked forward to a goal in order to consolidate their 1-0 lead. Till the end of the game, both keepers stayed busy moving from end to end. Despite all, the score line remained same, a win for South Africa and a loss for India. So far, India has had two losses, which means they would have to perform better in their remaining matches if they plan on coming far in the competition. South Africa failed to make it past the group stages of the 2017 Africa Cup of Nations qualifications after only being able to secure 6 points from the 5 opening matches that they played in group M.
Snatching 6 points from the 5 initial games that South Africa played was not enough for them to advance into the next rounds of the 2017 Cup of Nations and ultimately succumbed to being eliminated in the group stages. Group M consists of Cameroon, Mauritania, South Africa and Gambia. From this group, Cameroon has ensured their progression to the next stages of the competition as they have finished at the top and Mauritania also have a chance of progressing but this will depend if Mauritania is able to secure a victory in their upcoming match against South Africa which is scheduled to take place on September 2. During the 2013 edition of the Africa Cup of Nations, South Africa reached the quarter-finals of the competition but this time around their campaign has been significantly worse but Mashaba still appears to be optimistic about the future of the South African national football team as he is aiming to qualify for the 2018 FIFA World Cup. South Africa Football Association (SAFA) says it is working on the report submitted to it regarding corruption by former presidents. SAFA noted the statement from apex world football body FIFA over the sanctioning of former SAFA President Mr Kirsten Nematandani. The Association promised to reach out to FIFA to get more details regarding the proposed banning of Nematandani. All parties are on hold following the death of the father of the former SAFA President. SAFA has even sent condolence message to the family of Nematandani. The statement reads: “It is a difficult period for anyone to lose a close member of his family and to Mr Kirsten Nematandani; I say on behalf of the entre football fraternity that, we share your grief in these difficult times. May the departed soul of your humble father rest in peace.” Current SAFA president Dr Danny Jordaan sent the message on behalf of the football association. On the other hand, former SAFA president Leslie Sedibe has resigned his post as the CEO of Proudly African. Sedibe has headed the organization for all of five years, but his stepping down would not be unconnected to the ban from FIFA from all football-related activities for five years as he was found complicit in a match-fixing probe when he was head of SAFA. Sedibe was the SAFA head from January 2010 to February 2011, and he was investigated by FIFA in a match-fixing probe ahead of the 2010 World Cup Spain hosted. He was fined Sf20,000 in March this year as the investigators concluded their probe. As head of Proudly South African, he was the strong advocate for consumers to buy locally made products rather than the imported ones. However, the disgrace has forced him to step aside to avoid smearing the whole campaign. Proudly South African is set to announce the steps it would take to get a new CEO. Head coach of the Atletico Madrid senior team, Diego Simeone has weighed in on the drama building up regarding the next person to be crowned the winner of the FIFA Ballon d’Or 2016. Cristiano Ronaldo is the man leading the race following his sterling performances in the past season for Real Madrid and for his efforts at leading his country Portugal to glory. Former Chelsea star Didier Drogba even joined to proclaim that Ronaldo is the man for the crown this year. He said he “played against Cristiano in the Champions League final in 2008; he won with Manchester United against Chelsea. He is a true leader and he deserves the Ballon d’Or for the great work he has done for Real Madrid and Portugal.” The Ivory Coast international claimed that though the player couldn’t play for long in the final, that he remained the biggest reason they got there in the first place. The three-time winner is also piped by Neymar, a team mate of Ronaldo’s main arch rival, Lionel Messi, to win the crown this year. Ronaldo won the award, believed to be the most prestigious individual award in football, in 2008, 2013 and 2014. For the past eight years, he and Lionel Messi have been jostling for first and second place, except once when Ronaldo was out of the top three. Messi is still the record winner with five times but his form reduced in the past season prompting a snub from the award this year. Diego Simeone feels Griezmann who led the team to the Champions League final, scoring 32 goals in all competitions that helped the team to third place in the La Liga and leading France to the final of the Euro 2016, should at least be among the top three if he doesn’t eventually win. South African coach Ephraim Mashaba claimed that he is extremely happy with the performance given by his team in the game against Gambia. After back-to-back draws in the qualifying games against Cameroon, South Africa were in desperate need of three points in order to put them back into contention for reaching the tournament final. It certainly came in the form of a 4-0 win. The timing of the victory could not have been much better, as South Africa have now moved within a point of second placed Mauritania. Only the top two teams qualify for the final with the second team having to go through play-offs. At this stage,Mashaba will be happy even with reaching the play-offs. Cameroon have a substantial lead in the table, as they are a further four points away fromMauritania. South Africa’s final qualification match will be againstnone other than Mauritania. It will be a do or die game for the Bafana Bafana, who were extremely good in the game against Gambia according to their manager. If South Africa failed to reach the African Cup of Nations next year, it may lead toMashaba’s position coming under review. 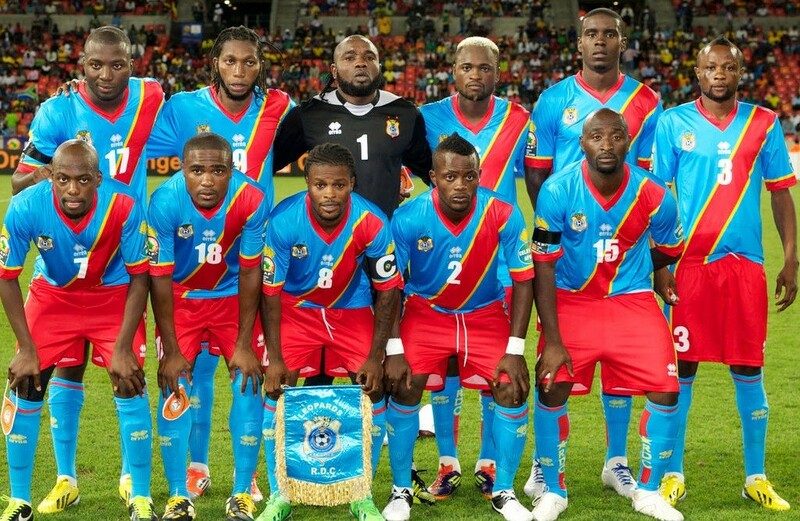 The 4-0 win over Gambia was the biggest win during the African Cup of Nations 2017 qualifier. “That was total football from the boys and it only goes to show the amount of potential we have in the country. Winning by such a massive margin and away from home shows this team can go places. Since our arrival here in Banjul, Gambia had constantly warned us that they wanted to humiliate us to finish the campaign on a high. But my boys had other ideas; their desire to win, the hunger in their eyes and will to do something special was there for all to see,” saidMashaba. South African national team manager Ephraim Mashaba promised some key changes to the national team squad for the upcoming Cosafa Cup in Namibia. This will be the precursor to the 2018 World Cup qualifying games for the South African national team. Hence,Mashaba has hinted that he may use this tournament as a preparation for the qualification campaign that starts in September. South Africa may be one of the strongest teams going into theCosafa Cup, but the big prize that awaits them is the World Cup. After having featured in the 2010 edition when they were the hosts, South Africa will want to experience the joy once again. The national team has been on an extremely good run in the last few months. They have suffered just the one loss against Angola in the last eight games of all competitions. This, however, does make them look like proper contenders for the African Cup of Nations, which begins in 2017. Only the games against Gambia and Mauritania remain for the national team, who are winless so far. South Africa have drawn all their three games to sit third in the table. Only the top two teams from the group can take part in the African Cup of Nations. “After long deliberations with the other coaches regarding the Cosafa Cup, we came to the conclusion that we must use this tournament to build our future teams.Many a time we as national team coaches always talk about how little time we have with the players ahead of a big game and how we didn’t have enough time to prepare but now we have ample time to do that. The 2016 squad for the Cosafa Cup is mainly made up of u23 players,” said Mashaba. TheCosafa Cup starts on June 11 and ends on 25th. Brazilian and former Real Madrid superstar Kaka says that his former teammate, Cristiano Ronaldo, should be given more respect by the club’s supporters. The Portuguese international is regarded as one of the finest players in world football. His presence at Madrid has coincided with a great competition in Spanish football and indeed across the world between Ronaldo and Lionel Messi. Even though the latter has slightly edged against the Portuguese, many feel that the differences between the two are marginal. Ronaldo has consistently been scoring more than 50 goals per season in the last few years. He is on course to hitting this target once again in the 2015-16 campaign. However, there has been some discontent amongst Madrid supporters of late and this boiled over in the recent game against Celta de Vigo. Ronaldo was booed by a section of his own supporters, who appeared to be unhappy with the selfish attitude of the player. A number of occasions, Ronaldo’s intent to score goals has reduced his team’s chances of finding the back of the net. Kaka may not have scored a lot of goals during his couple of years at the Santiago Bernabeu, but he remains as a favourite amongst the supporters for being a team player first and foremost. Kaka is now at Orlando City FC as one of the club’s designated players. “Cristiano is a great player and I’m not just talking about his quality, but what he has contributed to Real Madrid. I’d like to see supporters show more respect to Cristiano for what he has done for this club. Hearing people boo Cristiano is not right after everything he has done for this club. When you go out to play for Real Madrid you know what it’s like, it’s not just like that with Cristiano, it has been like that with (Zinedine) Zidane, Raul, (Iker) Casillas… it has always been like that,” said Kaka. 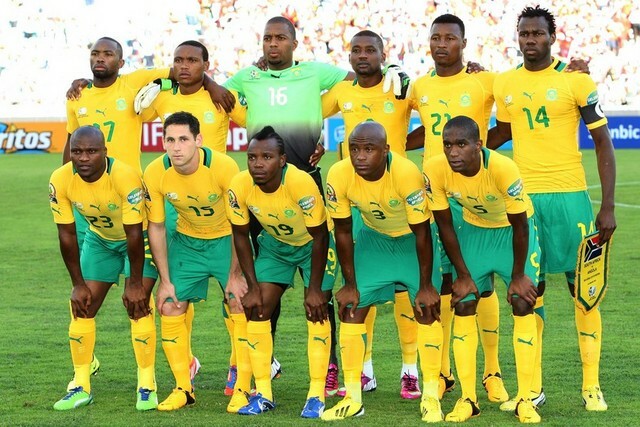 The South African national football team struggled to clinch positive results in the start of 2015 as they lost against Algeria and Ghana while only being able to settle with draws when facing off with Senegal and Gambia. These matches were played ranging from January of 2015 until June of that same year and this was a period of time when the South African national football team just couldn’t find a way to secure victories on a consistent basis. This string of draws and defeats were the main reason of why Ephraim Mashaba was under heavy pressure for a particular period of time but despite these underwhelming results, the South African manager was confident that he was implementing the correct game-style with his squad. Things have been going fairly better for Ephraim Mashaba and his team as they managed to overcome Angola as the South African national football team defeated Angola with an aggregate scoreboard of 4-1 which was more than enough for them to secure their spot into the last phase of the CAF World Cup qualifying. South Africa is now 1 of the last 20 African nations that are still competing for their chance to get into the 2018 World Cup. This is a huge morale boost for Ephraim Mashaba and his squad, especially taking into consideration the dreadful campaign that they went through at the beginning of 2015 but have slowly managed to pick themselves up. Ephraim Mashaba is particularly happy to see his squad perform better as the South African manager was under heavy pressure some time ago and was at the center of the media with rumors being splashed out involving him getting sacked but these rumors have been diminishing as Mashaba now has time and space to breath for a while.